The year is drawing to an end. On reflection, the amount of change at the Club is incredible, all as a result of the hard-work of member volunteers and, of course, our staff. We have started to turn the needle on our performance, approach to management and utilisation of the Club, and the gym build is well on its way. Starting change is easy; keeping it up and gaining momentum is more difficult. I hope that we can all refresh over the Christmas period and achieve all of our ambitions for the Club (and personally, of course) with renewed energy and enthusiasm in January. We still have so much to do but we remain focused on getting LRC back to the top of the domestic rowing firmament. Vires acquirit eundo (‘We gather strength as we go’). The squad and coaches train through to the 23rd December, squeezing every minute they can out of the year in preparation for next season’s racing. The squad gets stronger week by week and their boat skills are continuing to improve – you may have seen them out in pairs getting the work in. 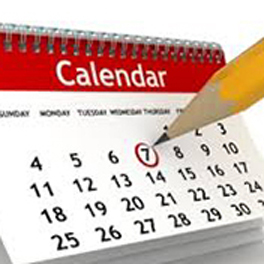 We have some other events coming up at which it would be great to see you all. As ever, I will try to say hello to as many of you as I can! The Christmas supper is tomorrow, the 13th December. We already have 90 places booked but can still squeeze in a few more so there is still time to snap up the last places! Good luck to everyone competing in the Remenham Head this Saturday, the 15th December, and thanks to those of you who have volunteered to help organise the event. Everyone else, please do try and pop down to support. The Christmas Quads (formerly known as the Christmas VIIIs) will be held on Sunday, the 23rd December and will, once again, be held in quads, as the name implies. A members’ tour of the gym build site is going to be arranged that morning for those interested to see the progress made on this fantastic project. The bar will be open for breakfast and beverages before the spirited battles of the scratch crews take place. This was a very successful event last year and will, hopefully, be even more fun this time. It is very informal clothing wise although you are more than welcome to go “fancy” if you want to. Friends and family are, of course, more than welcome to come along and enjoy the pre-Christmas atmosphere. The Annual Dinner will be taking place on the 25th January and I hope that as many of you as possible will come to this ever popular event in the Club’s calendar. I wish you all a Merry Christmas and all the best of health and success for 2019. The work of the Club’s Sub Committee on World War I, established a year ago, reached its conclusion on Wednesday, November 7th, when some 62 people attended a commemoration service (led by the Rector of the Parish of Putney, the Revd John Whittaker) in the Fairbairn Room, followed by a lunch in the Long Room. The lunch concluded with a talk given by Ruaraidh and Susie Adams-Cairns entitled ‘The Great War – 100 Years On’. The following Club WWI memorabilia were on display on 7th November – a manuscript, illustrated roll of honour, which lists all of the 50 fallen; a beautifully written 1914-18 memorial book; and a bronze wall memorial tablet, unveiled originally in 1921, and now restored, which was re-dedicated by the Rector. The President, Mike Baldwin, gave a moving address during the service. Readers of the names of the 50 fallen (L to R) - Robin Cameron Cooper; Alan Foster; Peter Fraser; Tim Grant (Captain); Iain Reid. The re-dedicated war memorial tablet is on the right. Mike Baldwin (President) delivering his address at the commemoration service. The top table at lunch, (from L) - Jeremy Hudson (Hon Sec); Ben Helm (V-P); the Revd John Whittaker; Mrs Susie Adams-Cairns; Mike Baldwin (President); Mrs Hilary Hudson; Ruaraidh Adams-Cairns; Peter Beauclerk-Dewar and Gillian Beauclerk (grandchildren of one of the 50 fallen, J E Dewar). The grandson and granddaughter of J E Dewar, one of the 50 fallen, attended the event and during the lunch formally donated to the Club his collection of some 20 rowing and sculling trophies, won in the decade leading up to the War. The occasion was also marked by the publication of an A5, 110-page illustrated booklet, which the Sub Committee had compiled; this contains biographies and photographs of the 50 members who fell, plus maps showing the locations of cemeteries and memorials; the graphic designer for the booklet was Anthony Jones (a former Editor of the Club’s newsletter). The Club’s Patron, HRH The Duke of Edinburgh, provided a foreword. The booklet is being made available FREE OF CHARGE to members and is available only from the Club; copies can be picked up in the bar or from the office. They can also be ordered by e-mail or through the post; postage and packing cost £2.50. 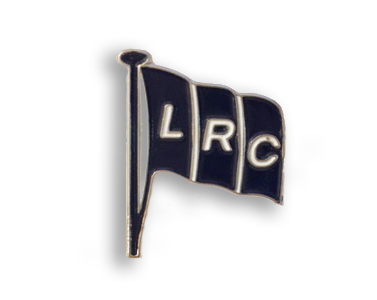 Please contact membership@londonrc.org.uk for further details. 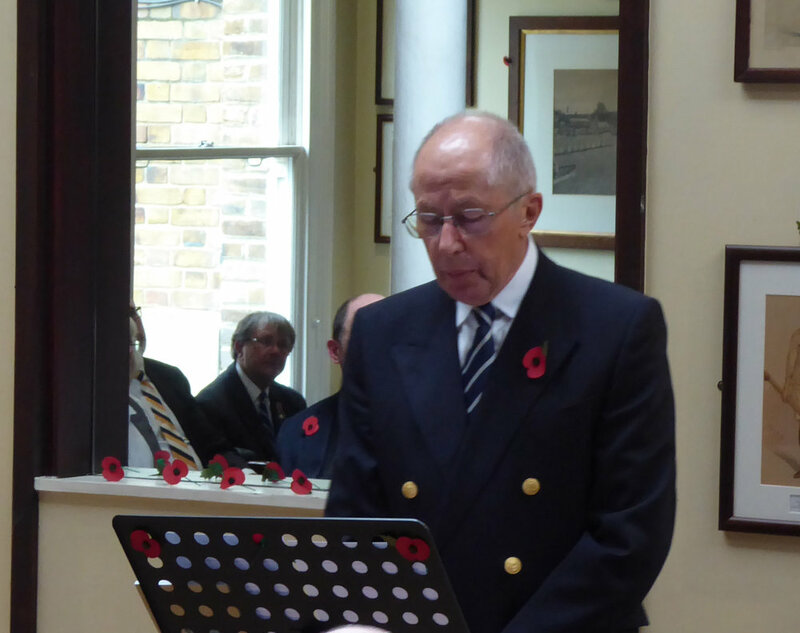 The Club’s celebration of the Armistice Centenary was a special and memorable event. The booklet has also been very well received. We believe what was done represents a fitting tribute, and a remembrance with thanksgiving, for the 50 who died in the Great War. The morning of Sunday, 11th November saw a gathering of many members of the Club on the Embankment to remember those members of London Rowing Club who gave their lives for us in the Great War. Although some were originally unsure whether we would be able to muster one person for each of the fifty who had died, by the time the oars were distributed, we found ourselves with the 50 oar-holders we needed and an additional group, all of whom would have been willing to play their part. It was great so see such a cross section of members coming out for the occasion: young and old, ex-Olympians and young irregulars, squad and social members, the usual suspects who are always at the club and some that hadn’t been in their blue and white for several years. We even had a few canine friends present. The process of counting out the oars came to an end and the background chatter quieted as our fifty lined up in front of the flagpole shortly before the appointed hour. As the whistle was blown to mark the start of two minutes of silence, our flag and all the heads of those present were lowered. All the other clubs along our section of the Embankment were replicating this and hearing so many people, at LRC and along the length of our stretch of the Tideway, speak the words “We will remember them” after the second whistle blast at the end of the silence was very powerful. Many of our group subsequently went to Vesta for a drink afterwards and were able to share in the camaraderie that came from having experienced those moving and magical moments together. Great thanks to those who organised the event, including Rob Dauncey and Tim Grant, to Vesta for opening their bar to us, and also to all who came down to show their respect. Members will be pleased to learn that the steelwork has been completed, the roof and elevational purlins fixed and we are finally at the cladding stage. The specialist cladding sub-contractor has been fixing guard rails around the perimeter of the roof and will be fixing netting under the roof. The cladders work at height and as falls from height are the biggest cause of accidents in the construction industry there is a need for very careful set up works. The sequence of cladding works will be guttering first, then the roof and then the elevations. We must hope for dry and frost-free weather because the roof pitches are steep and cannot be walked on if there is frost. The cladding comprises insulated composite panels which are anthracite grey on the outside (similar to the old corrugated iron sheeting) and white on the inside so that the gyms will have a bright and light feel. There will be a number of daylight panels in the roof with a similar thermal insulation value to the main panels. The specialist cladding contractor will also be fitting the ridge mounted ventilation units which are, in essence, large ventilation cowls. All of the roof panels and the ventilation units will be lifted to the roof using a scissor-lift positioned in the courtyard area by the main side entrance to the club. Members will not be able to use this entrance between 8am and 5pm Monday to Friday until the roof cladding has been completed. The main contractor has completed additional steelwork in order to strengthen the rear wall of the small gym and to put tie bars across the roof sections of both gyms. The walls to the physio room and accessible WC/shower area are being constructed currently. We don’t have a firm timetable for how long the cladding will take. We expect it to be quite quick and the cladding contractor will want to complete it as fast as possible, but it is weather dependant and we are not at the ideal time of year. As soon as the cladding is on, the main contractor will fix the glazing and ventilation louvres and will have a dry and weathertight internal environment in which to carry out the fitting out works and we expect the programme to accelerate in these phases. For more information, please contact Peter Halford, Simon Harris or Eddie Markes. 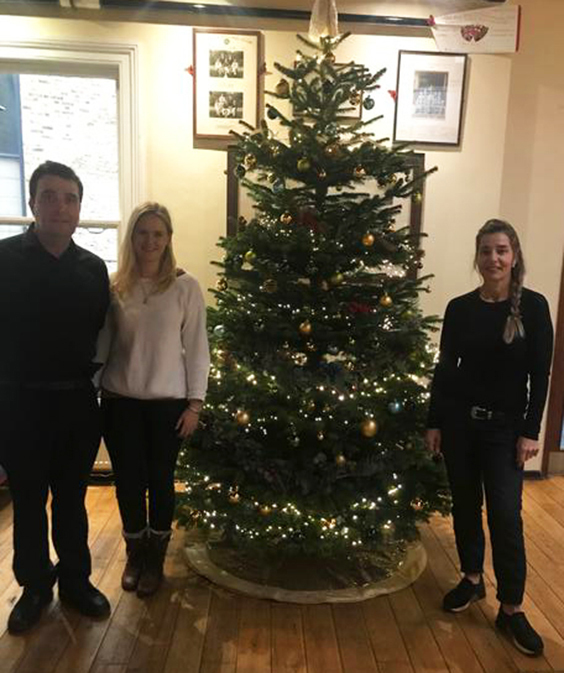 HAPPY CHRISTMAS FROM THE EVENTS TEAM! We look forward to seeing many of you at the Christmas Supper on Thursday 13th December. 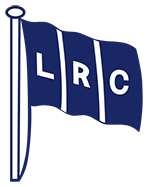 All bookings should have been made by the time you are reading this London Roar, though we would hate to refuse anyone so if you greatly wish to attend, please get in touch with us either by email on events@londonrc.org.uk or ringing 020 8785 2244. Please remember the bar in the Club is open on Sundays from 11am until the early afternoon and all members are very welcome. In the New Year, what is now known as the Squad Breakfast will be open to all members on Saturday and Sunday mornings – details to follow. On Sunday, the 27th January, the Club will be hosting a SPEAR Fundraising Arts Exhibition between 11am and 4pm in the Fairbairn Room. Please come to look at the art and perhaps purchase something to support this charity which helps to reduce homelessness in South West London. On a date to be confirmed in the next couple months, the Thames Festival Trust will screen a 30 minute documentary with a talk and Q & A on the Doggett's Race. As members will know, our own Alfie Anderson won the race this year. Details of the talk and screening will follow in the New Year. The Club’s Annual Dinner will be held at the Clubhouse on Friday 25th January 2019. It is very much hoped that you will be able to attend the Club’s main social event of the year. Admission to the Dinner will be by ticket only and these will cost £55.00 each. The price includes pre-dinner reception followed by a three course meal. Dress for the Dinner is either Black Tie or Club Blazer with bow tie. For further details on how to apply for tickets, please click here to visit our Events Booking form. LRC’s Masters ended their 2018 racing season with a win in the Masters’ D coxed fours event at the Veteran Fours Head, finishing 22th overall and third fastest coxed four. The crew of Shaun Martin, Ralph Humphrey, Adrian Theed, Stewart Harries and cox Theodora Robinson had a solid race from Chiswick but were impeded in the run in from Hammersmith to the finish line as they overtook a number of crews from the division starting ahead. The second crew of JP van Tiel, James Brown, Jonty Williamson and Dave Harte finished 15th overall and third in the Masters C coxless fours, over 20 seconds behind winners Upper Thames RC. LRC’s Masters also fielded an F/G double scull (Colin Christie and Christopher Grainger) which finishing 207th. The Irregulars are going strong and getting into the Christmas spirit. We boated three quads for the Vets’ Fours Head - a recent record. All the crews (including one crew made up entirely of newly joined members) thoroughly enjoyed the experience. We are contributing to a Vets’ Eight are taking part in the Remenham Challenge coming up at 9am this Saturday, the 15th December (this head race is rowed from Chiswick Steps to Putney on the outgoing tide) and there is good enthusiasm to take part in the Club Christmas Quads on Sunday 23rd December. Irregulars who are not taking part in these events are encouraged to come to the Club to support our crews. Also, last Sunday, after our normal outing, a boat naming ceremony to commemorate the late Ian Butler, a lifelong member of the Irregulars and a generous donor to the Club, took place followed by a lunch at which his widow, Jenny, was the guest of honour. Following the appointment by the Committee last month of JP van Tiel as Head of Communications for the Club, JP, Bob Silver and Miles Preston met on Saturday, the 24th November, for the first time to form the Communications Sub-Committee with the purpose of co-ordinating and developing the Club’s communication both as between the Club and its members and with the World at large. JP will be in overall control of these things, reporting regularly to the Club’s main committee. He will chair the sub-committee, which is next scheduled to meet on the 5th January. Bob Silver will be responsible for the continuing development of our new website, he having played a major role in its creation. He will also be responsible for developing and monitoring the Club’s ‘Brand Design’. Miles Preston, who has been responsible for organising and producing The London Roar since September, will continue in that role. Jessica Salter will continue, as she has since September, to support in the production and promulgation of The London Roar. Steve Salter will drive our social media activity. We hope that you may already have noticed some improvement in the way the Club is communicating with you, with the new website looking fresh and increasingly user friendly and the regular publication on the 12th of each month of The London Roar. Over the coming months we will be working hard to make further improvements and moving into other areas of communication which have not been strong, particularly in terms of establishing contact with more people beyond our membership with a view to recruiting more members and encouraging more use of the Club and its excellent facilities (which will, of course, shortly also include our new gym facilities). 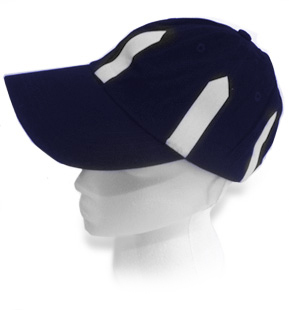 Looking for a gift for a rowing chum?